It’s not too late to start some New Year’s Resolutions. A great place to start could be your work environment. These could be small changes to help make your work day a little better but those little changes can make all the difference in 2016! Make sure you evaluate your daily tasks when you come into work in the morning. Every now and then get up and take a walk, even if it’s just around your desk, to clear your head and get your blood pumping. Leave earlier in the morning to give yourself a little more time to get going. Every now and then, give yourself some time to take some deep breaths. Go vertical! Get desk shelving or wall organizers to make use of wall space and clear off your desk. Get a filing system and stick to it, if everything has it’s own place, you will always be able to find it. Make a folder for current items, it will make everything look cleaner and keep the documents you will need that day, close! Always keep a notepad close to you in case you receive a call and need to write down information or get quick notes in a meeting. You can always check your notes, your memory may not be as consistent. Always take a chance and go the extra mile. every once in awhile it’s nice to get to work early or stay a little late. You might get a chance you wouldn’t have if you were watching the clock all day. If you are given an assignment, do what’s asked and then do a little more. If you always try your best you will never have the regret that you could have done more. Make sure you are actively listening! That could mean taking notes when you are at a meeting or when your boss is relaying a message. Make sure you are looking up from your phone when you are in a conversation. If you listen to every detail the first time around, you are much less likely to need clarification later. It will not only make you look more alert and excited about your job, but it will waste less time. Bad habits in the workplace can be almost anything. Bad posture is becoming more prevalent because so many are stuck behind a computer all day. Checking your social media at work could be taking away from your productivity. You could have a bad habit of talking over someone during meetings or not being open to new ideas. 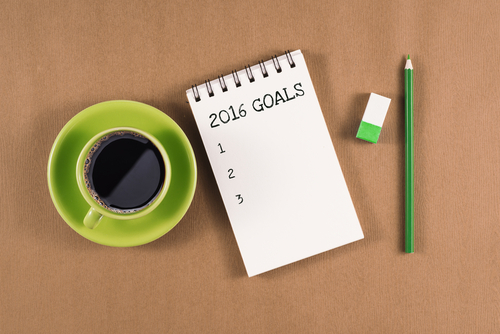 Figure out what your bad habit might be and make it your 2016 resolution! Figure out what the next step is! What can you do to get that promotion? Are there opportunities to move up where you’re at or would you like to move to another company to keep growing? If the answer lies at another job, contact us at Dallas Employment Services! We would love to help you find the opportunity you are looking for. Even if you aren’t ready to leave you job just yet, let us know where you are at and we can always help you find a great opportunity down the line.